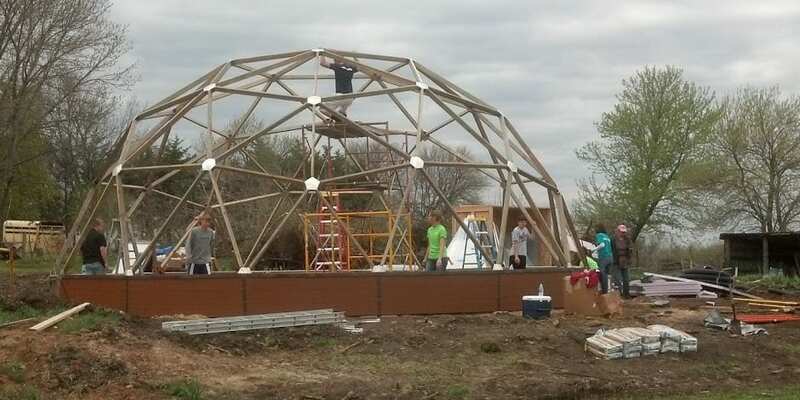 Freeman Public School students in NE are just now settling into their new 33 ft. diameter Growing Dome greenhouse classroom. Over the course of about nine months they were able to write grants and receive enough funding to purchase the greenhouse classroom. The main contributions were grants from DuPont Pioneer and Farm Credit Services of America. Educators involved in the project will teach K-12 students about growing their own food and the community of students will work to provide food for the local food bank and for garden to school lunchroom programs. It was a very muddy build and our installers were super happy to have the help of a dedicated team of students and volunteers to help get this Growing Dome up in 4 days.